Our membership is saddened today to hear of the passing of Warren Uphouse, Shirley's husband of 37 years. To send condolences, you will find Shirley's address on your membership list. No service is planned. Shirley served NCWN West as Program Coordinator for several years and was responsible for holding the Lights in the Mountains writing conferences in 2005 and 2006. 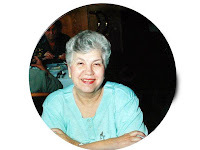 She also was co-editor of the first NCWN West anthology, Lights in the Mountains, Stories, Essays and Poems by Writers Living in and Inspired by the Southern Appalachian Mountains. We are all looking forward to the new Netwest Anthology edited by Nancy Simpson. We are extremely pleased to have had many submissions, and so many excellent writers sending poems, essays and short stories. For those of you who are anxious to know if your work has been selected, please be patient a few more days. Our editor, who has worked diligently and put in long hours and late nights, seems to have come down with a bug, not swine flu, but has been sick this week. We expect to send out letters next week if all goes well. Nancy says she has enjoyed reading the work of our mountain writers and she assures me we will have a terrific book. Meanwhile we have an agreement with a printer for one thousand books, first printing. We are already working on the marketing of the anthology. We'll be calling on our representatives in all counties to give us suggestions as to the best outlets for selling this book to tourists and book lovers. We will plan readings in all counties of Netwest. If your work is in the book, we hope you will take part in those readings. The first Netwest anthology, Lights in the Mountains, stories, poems and essays by writers living in the southern Appalachians, sold out of two printings of 750 books each printing. Because we do our own editing, copy-editing, and formatting, we can produce the book less expensively than if we used a POD or small press. However it takes a bit longer to get the book out there. This endeavor is labor intensive, but it is a labor of love. You will be pleased and proud of the anthology you all have helped produce. 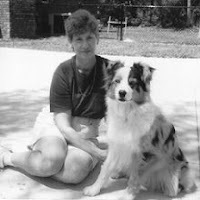 In her book, My Dogs, My Friends, Shirley Uphouse writes short chapters about her dogs and their adventures together. Pictures of the dogs illustrate the book. Often she prefaces a chapter with interesting factual information about the breed. The chapter about Yogi, the Old English Sheepdog, for example, tells us that their nickname, Bobtails, came about because in England, the dogs' tails were bobbed to show they were working dogs and free from taxation. Docking or bobbing of tails is no longer legal in England or much of Europe. Shirley's humor threads through the stories, as illustrated by her training of Fanci not to dig up her garden. When she found plants flattened with stems broken, she realizes, 'I warned her about digging in the garden. We hadn't discussed rolling in the garden.' Appreciation of each dog's personality, the joy of working with dogs so they achieve recognition, and stories about patient rehabilitation of an abused or neglected dog and its response are entertaining and moving chapters. Perhaps the most moving chapter was 'Paws Up' which describes Fanci's visit to a nursing home and the response from the residents to the friendly dog. A nurse said, after a woman in the Alzheimer's Unit smiled and reached out to Fanci, that it had been a long time since the woman had acknowledged anything or smiled. This upbeat book would be a good companion for trips, a cheerful gift for friends in the hospital, and even for younger readers. Shirley Uphouse teaches writing at Tri County Community College in Murphy, and is active in North Carolina Writers Network West, editing the Lights in the Mountains anthology and organizing and holding two writer's conferences. This week she held a benefit book signing at the Humane Society Thrift Shop, donating a portion of each sale to the society. Fanci was a special attraction at her table. JC Walkup and Paul Donovan will read at John C. Campbell Folk School on Thursday, April 17 at 7:00 p.m. in the Keith House. JC Walkup, from Haywood County, NC says that "creative writing has been her life long avocation." Her short stories have been published in anthologies. She has written two novels and a stage play since her retirement three years ago. She serves in volunteer capacities in the community related to literacy, the libraries and writers' organizations. She is reading at John C. Campbell Folk School for the first time. Paul Donovan, poet, from Murphy, NC, initiated an annual poetry and essay contest for students in Cherokee County, N.C. Paul has published an autobiographical book of poetry, Ramblings of an Idiot, and is published in journals and anthologies including Lights in the Mountains. He has spent the last three years, since becoming aware of the healing art of Reiki, writing poetry and essays from a more spiritual prospective. 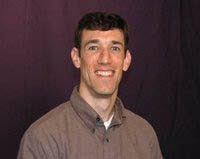 Paul is the host of Fireside Friday, a monthly reading sponsored by the Curiosity Book store at the Shoppes of Murphy. Audiences at the Folk School are often made up of students, blacksmiths, quilters, jewelry makers, banjo players, dulcimer players and writers, who have come from all over the United States and even some foreign countries. They are always warm and open to the work of our writers. The public and Netwest writers are urged to come, bring your friends and enjoy Paul and JC read their work. You will be glad you did.